Every country have their own system of unemployment benefits for their people. The benefits are usually social welfare benefits that are made by the state to unemployed people who are on lookout for work or are not currently having a job. It is compulsory governmental unemployment insurance system that takes care of the basic needs and compensates lost time proportionally to the last earned salary. You could be in such a situation where you are laid off or on verge of losing your job. Though you are confident in your ability of securing another job, things may not be as expected as you would be depending on your savings and unemployment benefits as well. If the search seems to extend more than you would have expected, the benefits would run out shortly. To think of that situation when you don’t have cash reserve or other sources of income is frightening. 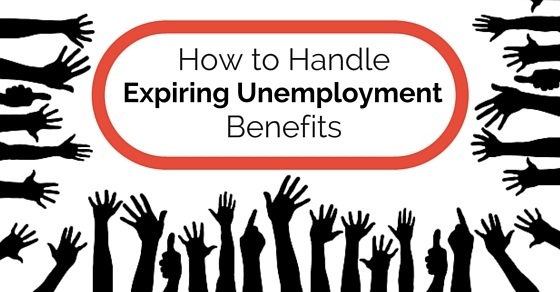 To keep yourself equipped and brace for the expiring unemployment benefits, some of these could help you cope it when you are still in employed position. The following mentioned are few ways to handle certain unemployment insurance benefits. There are many type of expenses that you may be doing when you are in job. When you know that you are going to be laid off or when you are out of job, you need to restrain from expending on unnecessary expenses. You would need to change your lifestyle a little bit to avoid them. Expenses that you do could be managed within your limits. For this look into your monthly expenditure and cut out those that are not required for your daily needs. For Example if you have membership at the gym, then consider cancelling them, if you have cable connections, then cancel it, consider reducing groceries and entertainment as well. What is needed for your daily needs is to be your priority. As time passes by, your eligibility for unemployment policy benefits will soon fade away. That’s when you need other assistance for your needs. It might seem awkward to get to know the other types of benefits that are offered. Based on your employment and income status you might be eligible for other benefits that could help you with accommodation and food. Besides this get to know if you are eligible for free or low cost health services. It’s better to approach state authorities to seek their help in knowing what could be the other benefits available. As you are in situation wherein you would not be able to make payments for loans that are taken, inform them immediately. It saves a lot of money till you land with another job. They could either suspend your payment or reduce the payments. With immediate notification they could offer other provisions. Making suspension of payment could halt payments for a short period. It helps one to utilize the benefits for those that is needed for living. It is also another way to manage expense. Informing mortgage at the earliest is best as you may be struggling to pay it. There are opportunities for them to lend hardship provisions. In such cases you could be eligible for forbearance wherein there is suspension of your home loan payments for certain period of time or there could be modifications to your mortgage terms. The interest rates could be reduced making monthly payment affordable. Hence, make an effort to inform mortgage lender at the earliest. It may seem odd, but pretending that you have lost your job and figuring out what to do would bring innovative thoughts on how to conserve your cash and preserve for the uneventful. By making yourself to practice for it you would eventually cut off unnecessary expenditure. Your life would get streamlined and spend on what is needed for survival. Having a foresight will help you to manage your budget and help you in times of need. In case you are out of job or looking out for one, try avoid using credit cards for essential expenses. For that sake, even your fixed deposits or retirement savings should not be tapped into. Try to save as much as you can without squandering on all the funds available as the unemployment status could get extended and you need to manage till you land in another job. Protect your savings which is the only source for your survival or living. As the savings is meant for use of important work or emergency purpose, try to avoid using this cash for daily needs. As the saying goes saving some cash for an emergency situation is to be thought when you are working itself. Being proactive is very much important in life. Consider that you might need to jump to different career stream or you could lose a job or you might be laid off. Then this is what you need to bear in mind that there is cash needed to make those important payments and those needed for your daily needs. So it is very important to put some part of your earnings for yourself. When you start on any job, it is best to have a saving mentality. It could be in 100 or 500 or even 1000. Whatever be the amount you decide to save, try to stick to it and maintain it all the time every month. Try to save as much as you can and make small investments. It could be in the form of insurance, fixed deposits with interests, bonds, property etc. Through networking, you would be able to find a new job or be hinted about an opportunity. Besides social media websites are one of the best ways to stay connected with ex-colleagues, friends and professional people. Opportunities are all around us and we need to look for it. Keep you network active by logging in everyday to share your status. By doing so, probably you would need not fret about unemployment extension. Keeping oneself connected with world will bring more information than you imagined. You will realize that all those connected with you will help you out be it financial or emotional. Being unemployed is sure to drain out not only your energy but also emotionally and financially. There could be support groups out there who counsel and provide moral support. If you feel down and don’t know where to turn to seek their guidance, it’s a platform where you have chance to meet many such people. You could learn from others experiences as they share their story in that group. Besides also get to know what skill can be upgraded to fetch you a job. You should be considering this as your last option. As you could be in possession of other valuable things around your house, it would be bringing extra cash when you sell it off. Things that you don’t use them every day like designer clothes, designer bags, electronics, furniture, jewellery, antiques, etc. Selling your possessions should be taken as your last option when all others are exhausted. You have become unemployed and you find that there is not only you but others as well. You could share your story of how you are managing the situation. Even sharing on social media is another option of letting out your thoughts. There could be many people who would support you with inspirations that motivates you. You would also get to know the other side of situation where in you get friends who help out in providing new skills and helping you to learn. This could be another way that bring in more knowledge. It is sometimes crazy to get out of your line to work in another stream. But to save you from financial crunch you could resort to odd job that you haven’t taken out. Meantime keep looking out for job that you intend to. While trying out job, don’t let go off your principle and working style. Maintain your composure and don’t feel bad that you have come to this state. Consider this to be temporary situation so that you do not lose on the benefits. Also it helps one when their unemployment or job less benefits expire. If you feel that full time work or job is not available for the moment, don’t leave out options for part time offer. It helps to keep your skills updated and also look out for full time job. Something is better than not having anything. If you seem to be offered part time then utilize your time to look through papers, share within network and utilize time effectively to learn new skills. Though the pay may not be enough it would actually help to handle the expiring unemployment benefits. But get to know if you are eligible for unemployment benefits later on. Some states or countries are hesitant to provide unemployment benefits. But if you are doing part time work when not in job it helps you to fulfill your monthly budget. As you are going through a situation which requires mental and financial stability, keep yourself calm. Don’t panic and try to make yourself adapt to the situation. Learn to live with it for some time as there are many who are also facing this crisis. Once you know how to face it, you can come out of it without any hitches. Consider this situation to be temporary phase and adapt yourself bracing for good time to come over. All it needs is courage. Sometimes getting a job could take time. Hence, even if you land a contract job, it’s no harm as it would save you from the expiring benefits. Instead of being unemployed and eating on your benefits, getting a job even if it is contracted is best option. But if you are contracted, see to it that you are being supervised and controlled by employer otherwise they would consider you as an employee and you get an eligibility for unemployment benefits when your job ends later on. There are other opportunities that you could explore. Sometimes you would be interested in making cakes and selling them or making homemade chocolates, designing costumes, making handicraft items, or taking tuition for children, etc. This might be helpful in making small amounts during free time. But the aim is to fill in your pocket till you land with a job. Unemployment benefits are given to save unemployed people from financial strains once they lost their job. But the tenure of their unemployment could go up to few months. This is the time when their benefits which helped them support their needs falls down slowly with time. Its best to envisage such a situation by being proactive in your life. Making a habit to save a small amount of every months earnings helps one to manage if in case, he /she has to face this crisis of being unemployed. But for those who don’t do so, they need to look to ways of foregoing their lifestyle and switching to different lifestyle that requires one to make adjustments in their habits. Besides all of this, it is the person’s courage and self confidence that can make one to handle this. Previous articleHow to Get an Internship With Boston Consulting Group?